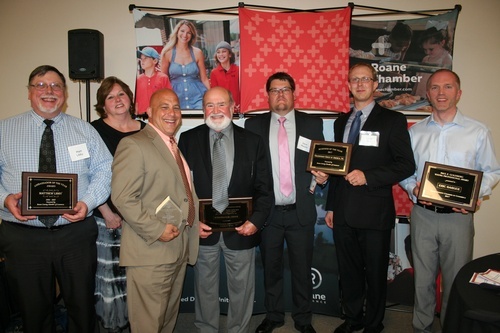 The Roane County Chamber Awards Banquet, considered by community and business leaders as the premier spring social event, is held annually each spring. The evening begins at 6 pm with a wine reception and silent auction, followed by a gourmet dinner and presentation of the year's prestigious business awards. The banquet is almost always a sold out event so we recommend ticket purchases be made as early as possible. Tables are also available for purchase by calling The Roane County Chamber at 865-376-5572.